A motorcyclist has been hospitalised in a collision on the A259 in East Dean. The accident at around 9.50am this morning in East Dean Road, East Dean, caused heavy traffic in the area. The collision involved a car and a motorcyclist. 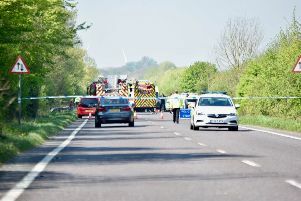 And now, a Sussex Police spokesman confirmed the motorcylist was seriously injured, and he was taken to Conquest Hospital in The Ridge, Hastings, for treatment. The road was cleared by 11.30am, when police were stood down.